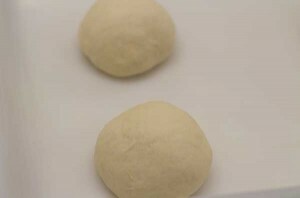 Knocking back the dough after rising removes any excess air and improves the texture of the dough. 1. 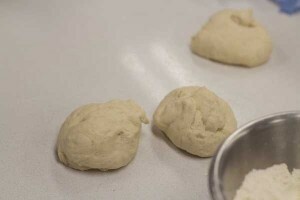 Divide the dough into even sized balls. 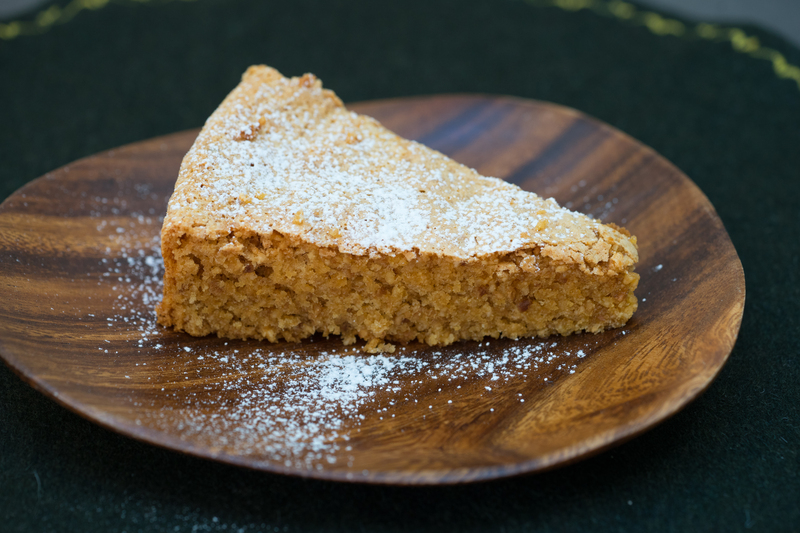 Lightly flour the work surface. 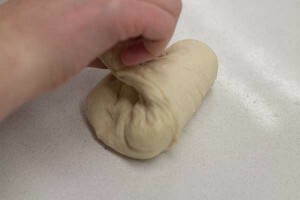 Place your hand over the dough and resting your wrist on the work surface, move your hand around in a circular movement to make the ball more rounded. The resulting dough ball will be round. 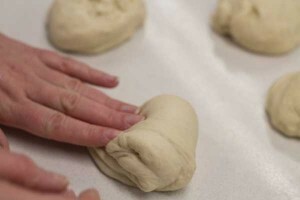 Use the palm of the hand to flatten the dough ball. 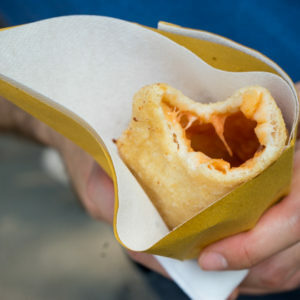 Fold the dough over on itself. 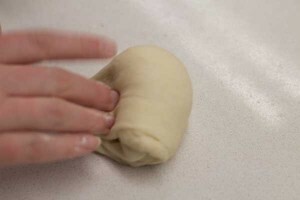 Turn the dough 90 degrees and fold the dough onto itself again. Repeat two more times turning and folding until all four sides have been folded over. Turn the dough over on the work surface. 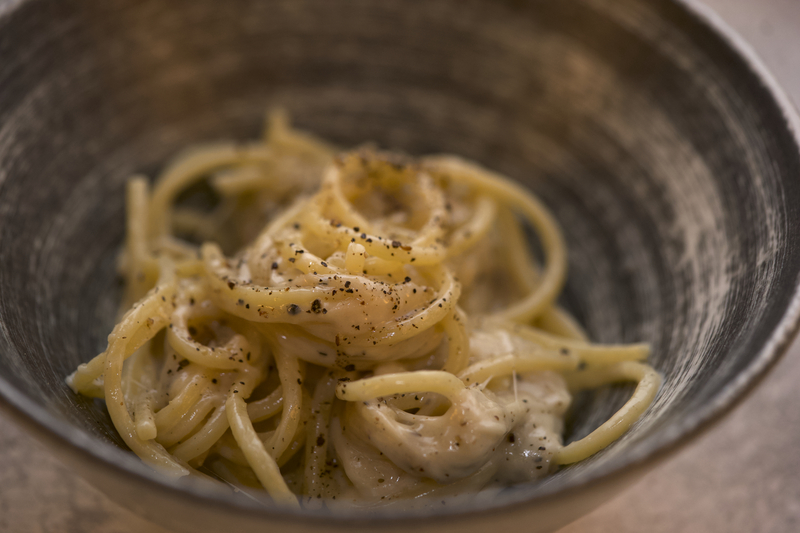 Place your hand over the dough and resting your wrist on the work surface, move your hand around in a circular movement to make the ball more rounded. 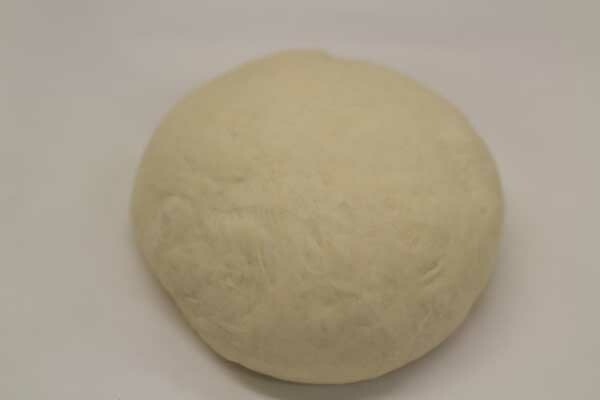 The resulting dough will be perfectly round.